Dates are stuffed with a creamy filling of cream cheese and a sprinkling of pistachios - a simple snack for one! 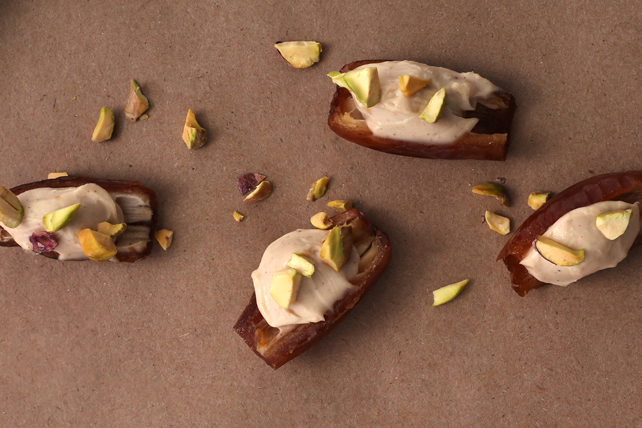 Spread cut sides of dates with cream cheese product. Prepare using Philadelphia Chocolate Cream Cheese Product and chopped pecans.